“We have had a very severe frost and deep snow this month. Utilizing surplus WWII machinery with canvas tops for towing wrecked cars in the winter at high altitudes with plenty of snow has certain disadvantages. The canvas covers freeze and eventually break when you move them. Scraping the ice of the plastic windows sratches them permanently and you never get warm and comfortable inside the vehicle, even with the heater on at full blast. 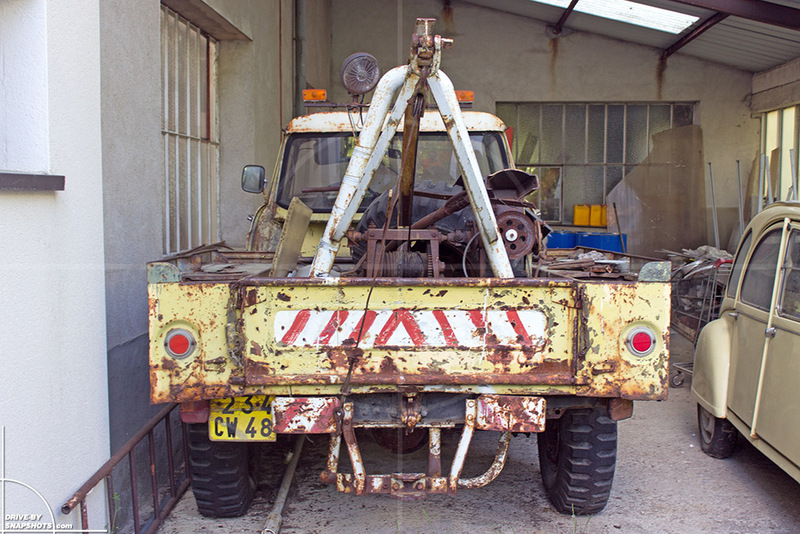 To solve these problems and to make his live easier, Monsieur Negre could have bought new tow trucks. But hey! This would have been too easy. Men capable of creative thinking get pencil and paper out instead of the checkbook. Why should you throw away perfectly good vehicles just for the sake of being more comfortable? It shouldn’t come as a surprise that a man who runs a garage and a towing business comes up with the idea of using car bodies for the task at hand. Form follows function, right? Unfortunately the results of this motto often look rather… hmm… questionable. Fortunately this is not the case here. The man who built the Renault 4 bodied Willys MB Jeep featured here previously certainly has an eye for proportions and a set of great fabrication skills. It takes more than just welding a car body onto an existing chassis if you want to avoid driving around in what clearly looks like a botched job. Selecting the right base vehicle is the crucial first step. Monsieur Negre got both proportions and look right on the vehicles he designed and built. 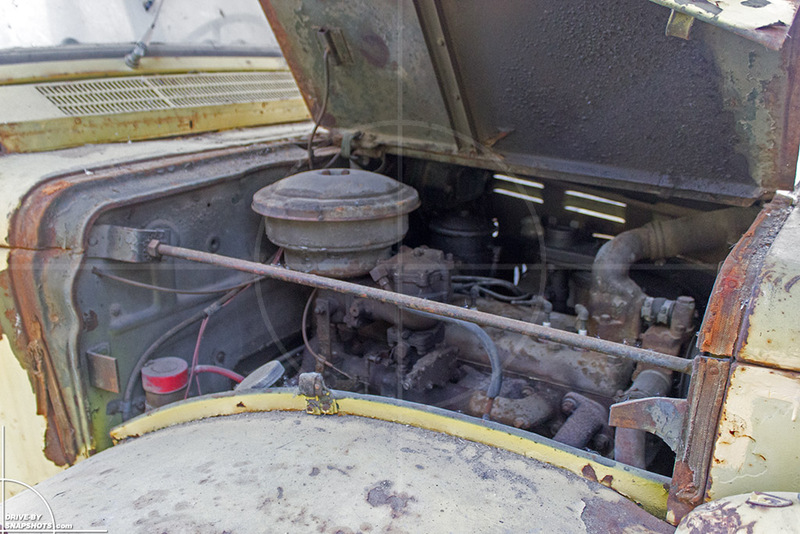 The Willys R4 looks like it could have been ordered like that from the factory. 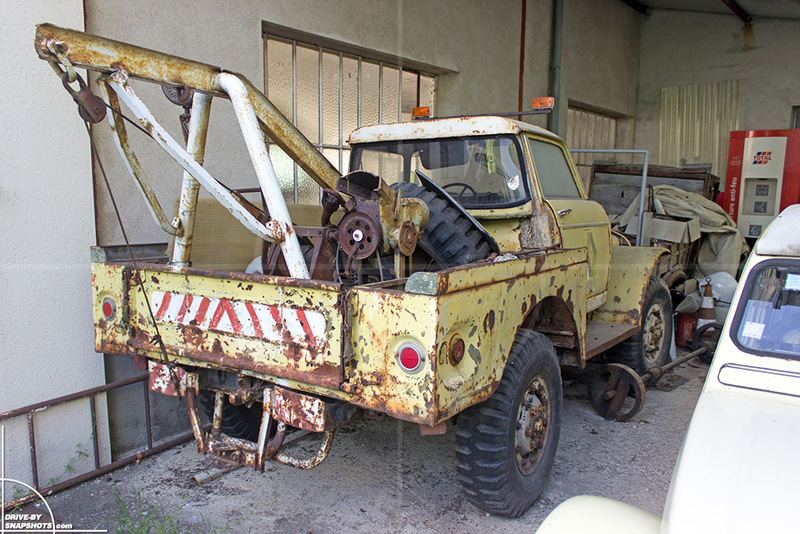 The Dodge WC-52 Wrecker with the Peugeot 404 cabin certainly has a strong presence. Blending the narrow bonnet with the considerably wider cab takes artistic skills and the result reminds me of the Berliet GBH trucks. Stunning. According to David Negre, son of the builder and now running the family business, the engine starts at the first crank with a new battery. We didn’t try it when shooting these pictures last week, but there is no obvious reason to doubt that claim. The rather luxurious Peugeot door panels contrast nicely with the military-spec dashboard. This truly is a purpose-built machine with style. 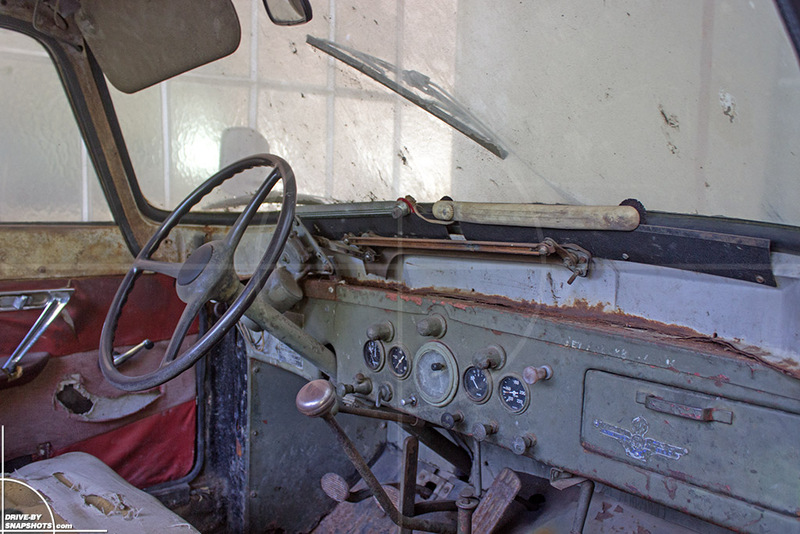 The business end of the truck is original and features the same lovely patina than the other parts of the body. The winch apparently still works, but giving it some freash grease before trying sure wouldn’t hurt. The license plate indicates that the vehicle has been registered 1963 or later. 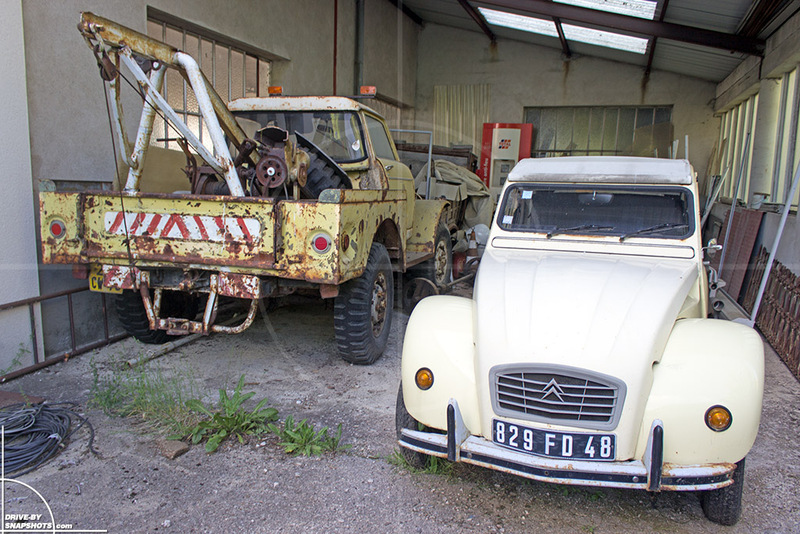 I never noticed before, but removing the headlights from a Citroën 2CV instantly gives it a “cleaned” custom car look. 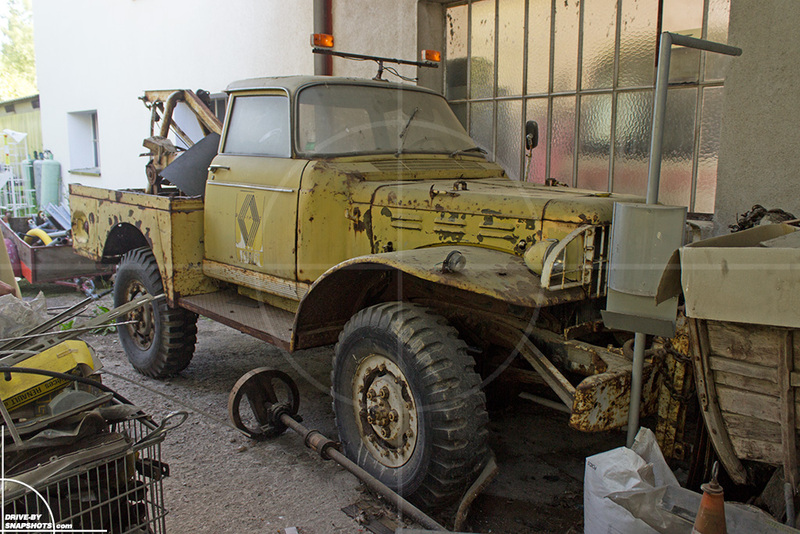 This vehicle actually appeared in the background of the first story about the Willys Renault 4 conversion from 2010. Hi. Just found it by pure accident. I love it. Want to make 1/24 kit. I do specialise on those conversions. Might you have more pics of this wrecker? There is something in front, I can see chain wrapped around it, but I cant recognize, what exactly it is. Hello Tomas, thank you for your feedback. Up front is a heavy duty winch. I guess that it’s the original military-spec winch. PS: Please send me pictures when you built the model. I’m a scale modeler as well. Hi Sebastian, just finished another model and started to work on this one. Will you send me your email? So I can send you few pics. I can send you some pics of model I just finished (found it Germany – old Beetle rebuilt into snow plow). I made selection of kits for your wrecker. I found nice model of WC-51, and trying to align another model instead of peugeot (not available as kit).